We had a fun October meeting with Timna Tarr as our guest speaker. 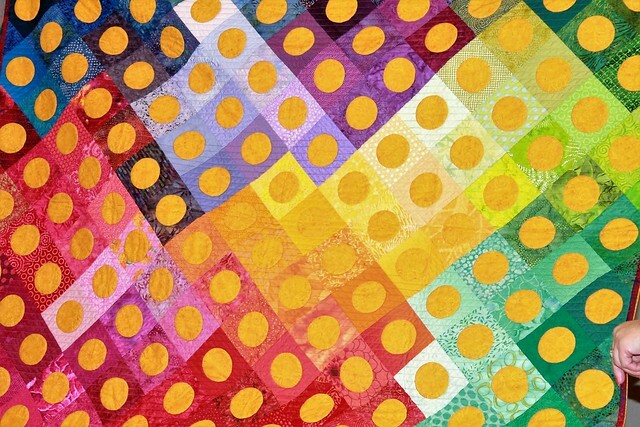 Timna Tarr is a modern quilter who works with color. Her quilts have won awards at national shows and have appeared on the cover of national quilting magazines. 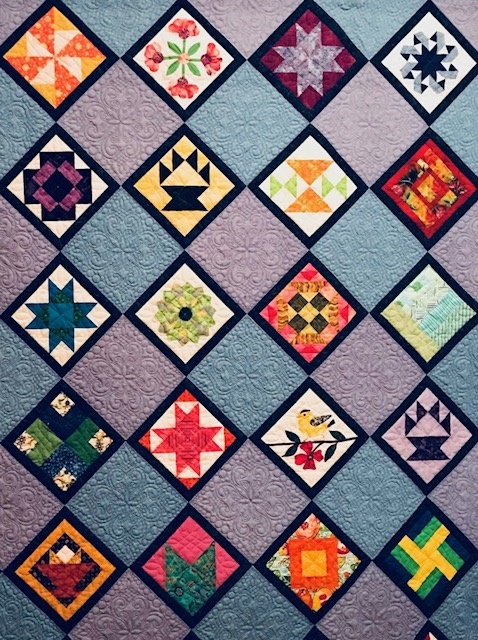 She is also the designer of our 2017 Raffle Quilt and brought her smaller version of that quilt to show us, along with many other beautiful quilts, design styles and colorways. Her trunk show showed us new quilting techniques that made us think outside of our traditional designs and see a new way to be inspired by color and modern design.